November 8 – 11, Philadelphia PA. While Susan Glaspell’s overt feminism and innovative expressionism in plays such as Trifles and The Verge have been widely discussed, the ways in which she continued to explore a modernist aesthetic and express a modernist credo in other works both drama and fiction is less obvious. Glaspell’s well-known comment on Virginia Woolf, “She makes the inner things real . . . . If one could have what she has, or something of it, and have also story, that simple downright human interest,” suggests, not that Glaspell rejected modernism, but that she sought a more nuanced, distinctly American modernist aesthetic. This panel explored Glaspell’s investment in modernism, from its incipient expression in her early fiction, to its full flowering in her Provincetown plays, to its mature melding with fictional realism in her novels of the 30s and 40s. “A Room Not Her Own: The Modern Woman’s Struggle for Space in the Theatre of Susan Glaspell,” Noelia Hernando-Real, Universidad Autnoma de Madrid. Chair: Barbara Ozieblo, Universidad de Málaga. 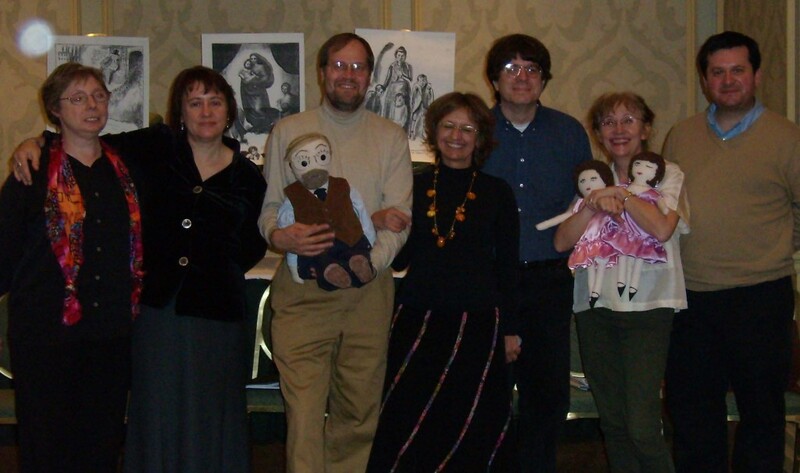 The roundtable discussion examined the teaching of Susan Glaspell’s plays and novels with the intention of spurring faculty to look beyond Trifles and “A Jury of Her Peers,” the two pieces that most commonly appear in anthologies, the classroom, and amateur production. Discussants looked at how Susan Glaspell’s plays, stories, and novels fit into courses on feminism, on modernism and on women writers; how her works can be advantageously used in first-year composition courses, literature courses and graduate courses; how her works fit into other disciplines and how they can be used to exemplify different tendencies in critical theory. “Teaching The Outside and The Verge,” Barbara Ozieblo, Universidad de Malaga. Readers included (l to r) Judith Barlow as Edith, Martha Carpentier as Mother Standish, Mike Solomonson as Seymore Standish, Basia Ozieblo as Dotty Standish, Drew Eisenhauer as Leon Whittaker, director Cheryl Black, Doug Powers as James O'Brien, and J. Ellen Gainor (not pictured) as Nora Powers. Stars of the show: nice Amelia, naughty Angelica and little Seymore . . . 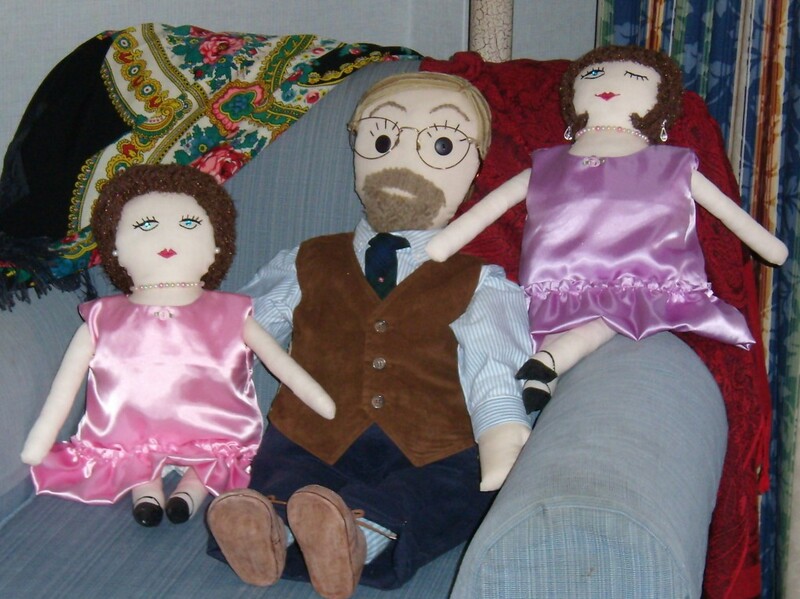 Mother Standish's dolls, handmade by Martha Carpentier. This entry was posted in 2006 Conferences, Conferences on November 11, 2006 by Martha Carpentier.